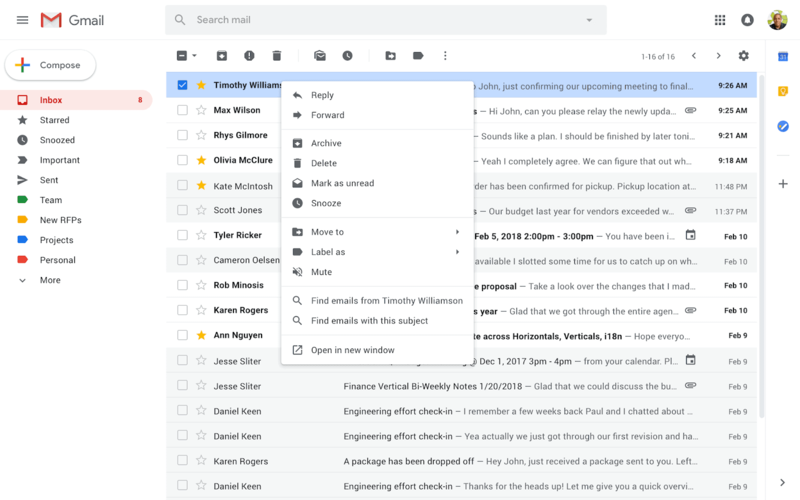 Google announced recently that an update of Gmail’s right-click menu functionality will land in February 2019. Gmail’s right-click menu is not particularly useful at this point in time as it provides only a handful of options. Right now, the only options provided are delete, archive, mark as unread, and move to tab. It is about time that Google makes the right-click menu more useful on Gmail. The current options are not thought out well in my opinion. Once the change lands, it is possible to use often used actions such as reply directly from the list of emails; something that has not been possible before using the user interface, if I’m not mistaken.